Ninja is primarily known as a Fortnite streamer these days, but he’s certainly apt to dip into other games from time to time. 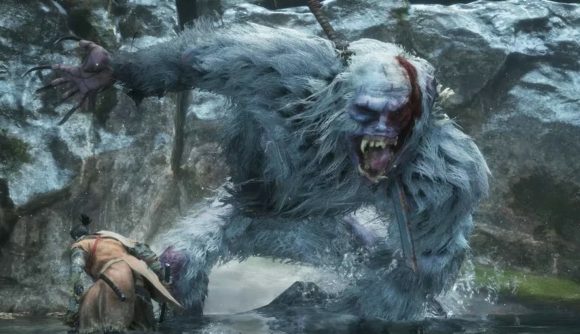 Lately, the secondary game of choice has been Sekiro: Shadows Die Twice, though the game’s Guardian Ape fight proved a bit too much for Ninja to take. Naturally, spoilers follow from here if you haven’t tangled with the boss yourself just yet. The streamer spent a full 30 minutes trying to take down the Guardian Ape before finally getting the satisfaction of that beheading by way of Shinobi Execution. Of course, if you’ve gotten there yourself (or – cheeky plug – you’ve read our Sekiro bosses guide), you already know what happens next. Both clips were brought to our attention via Dexerto. Struggling with bosses has become a tradition since Demon’s Souls and Dark Souls started sweeping the world, though if you’ve spent any time on the internet in the past week you know that same difficulty has become a hot topic. We got an idea of what a Sekiro easy mode might look like thanks to the creator of Celeste, a game with a marvelous set of difficulty and accessibility options.